Valkyrie Canopy Masks - New sets in the works! Return To Kit Form posted a topic in The Workshop! Would You Buy A Repop Of Gerard-Norbert (N-GER)? I wasn't sure weather to put this in the fan works section or here. But I decided here since I know what is inside It's a one off advent calendar that we made just for a bit of christmas fun. At any rate I can't wait for December 1st! 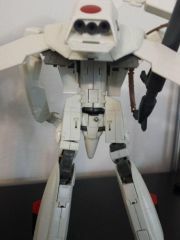 VF-1A/S, Bandai 1/72, transformable. 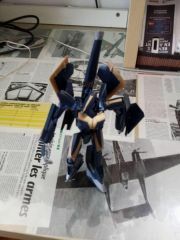 WIP: no stickers, paint or decals yet... I want to incorporate some possible improvements. The hip joints now hold sufficiently in place, thanks to a small screw on the hip joint door. Simple but does the job, and does not impact transformability or mobility. 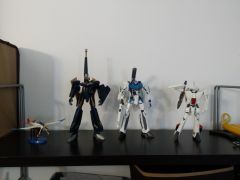 Sv-262H, VF-31, VF-1A/S, Bandai 1/72, transformable. Size comparison. 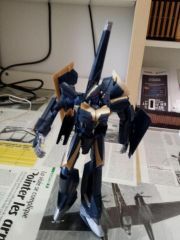 All WIP: no stickers, paint or decals yet... 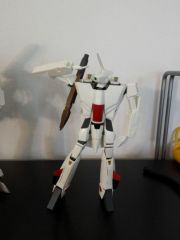 I want to incorporate some possible improvements, mostly on the flimsy VF-1. The hip joints now hold sufficiently in place, thanks to a small screw on the hip joint door. Simple but does the job, and does not impact transformability or mobility. The sturdy Sv-262 H Draken in its glory, from above, WIP. The sturdy Bandai 1/72 Sv-262 H Draken in its glory, from above, WIP. Latest completed kit - VF-1J Valkyrie "Skull 112"
Back in the pre-Hasegawa days, this was the best kit you're going to find of a 1/72 VF-1 Valkyrie. 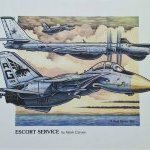 And now, thanks to Hasegawa, you can find these for a steal. Seriously, if you're paying more than ￥3500 for this now, you're getting ripped off. Only decals are the kites, skulls, and other miscellaneous markings. Everything else painted.